Sometimes dumb fun is more dumb, less fun. There is, of course, absolutely nothing wrong with a silly summer popcorn movie. Turn your brain off, spend a couple of hours away from the stress of your life, and just enjoy a spectacle in a dark, air-conditioned theater. 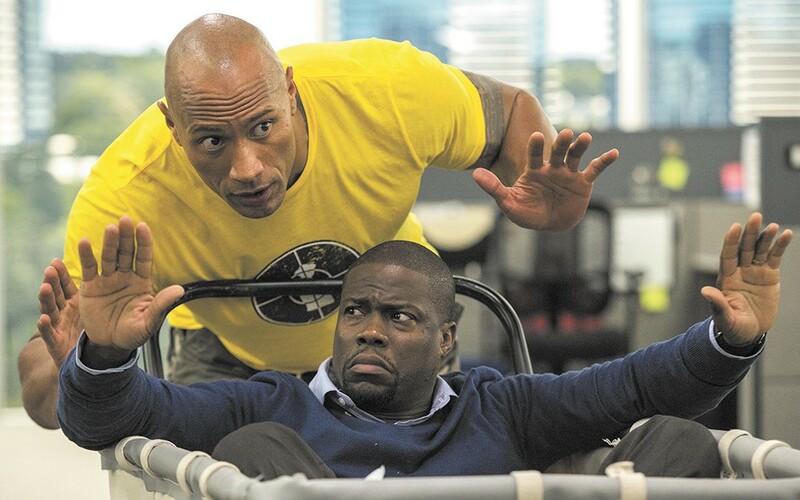 That is what Central Intelligence aims to be, a funny romp with two very charismatic leads. Jokes ricochet past, shootouts occur at ever-increasing intervals, and positive themes on being true to yourself are duly administered. And yet, the film traffics in such middle-of-the-road, mediocre material (most of its humor feels like it was filtered through a committee), that Central Intelligence is less the action/buddy comedy it strives to be, ending up a tedious mishmash of concepts in which the convoluted plot hijacks much of the fun from the proceedings, and does the two main stars no favors. The stars in question are Dwayne Johnson and Kevin Hart, two celebrities on such a roll that I'm pretty sure this film was green-lit without a script. But here it is anyway: Hart plays Calvin, an accountant who peaked in high school and is now living a boring existence until he's contacted through social media by fellow student Bob (Johnson), who was once the target of endless bullying because of his weight, and now, well, is the Rock, a badass CIA agent. Calvin was the only kid who was nice to Bob, and the two reconnect in the midst of some MacGuffin plot device involving a mysterious hacker called "Black Badger" and, naturally, stolen, ever-important satellite encryption codes (yawn). It's all there to highlight the chemistry between the two leads, and it often works in their favor as the film careens around, putting them in ridiculous situations. Nothing wrong with that, right? But too many times the film just falls flat, relying on Johnson and Hart's charm to carry an otherwise horrible bit that you might see at the tail end of a Saturday Night Live episode. Central Intelligence is not showing in any theaters in the area.